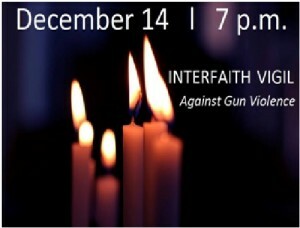 Members of Montgomery County’s faith community will come together tonight for a vigil against gun violence on the 3rd anniversary of the Sandy Hook Elementary School shooting. 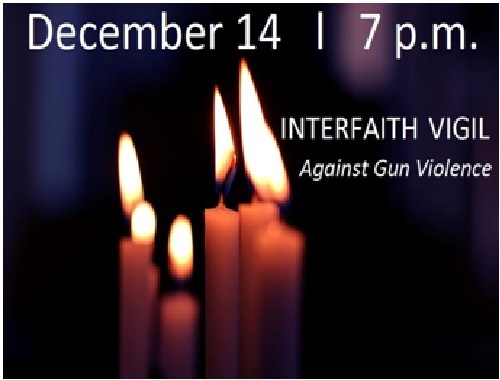 The vigil will take place at Cedar Lane Unitarian Universalist Church at 9601 Cedar Lane in Bethesda, and will feature reflection, music and prayer from Montgomery County’s Christian, Muslim, Jewish, Sikh, Hindu and Unitarian Universalist communities. Nearly 200 people are expected to attend the event along with local political leaders and activists. More information about the event can be found here.